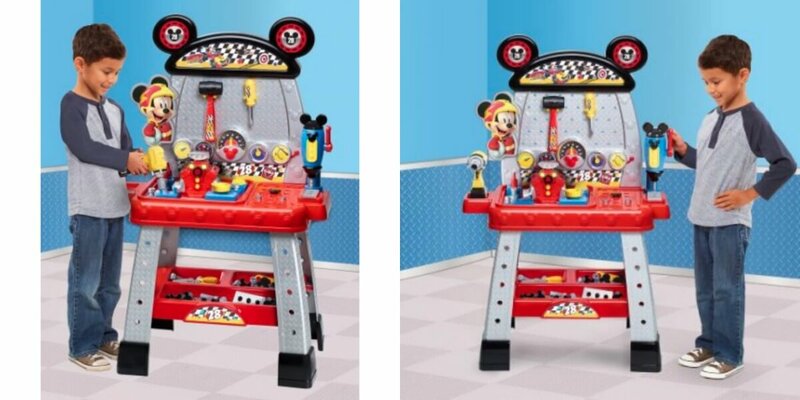 Mickeys Roadster Racers Pit Crew Work Bench comes with over 40 action-packed play tools! Engine requires 2 x AA batteries (not included). Drill press requires 3 x AAA (not included).